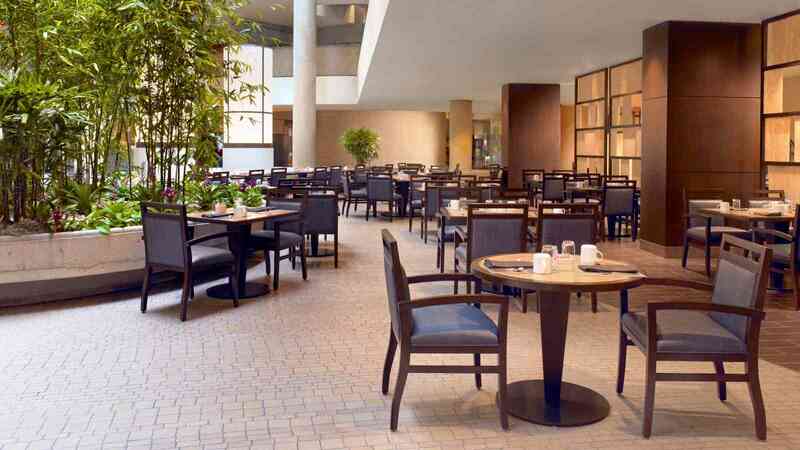 Relaxed American eatery at the Westin Bonaventure Hotel offering à la carte & buffet dining. Visit Lakeview Bistro, which serves classic American food - from salads to sandwiches, appetizers to favorite regional entrées - all in a unique casual setting. Widely regarded as a “City-within-a City,” The Westin Bonaventure Hotel has gone to great lengths to create the ultimate urban oasis. Discover Lakeview Bistro, which serves classic American food in a casual setting. Lakeview Bistro is located inside the Westin Bonaventure Hotel at 404 S Figueroa St. For your best route, use the Trip Planner.